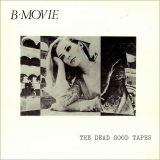 The Dead Good Tapes is ranked 2nd best out of 4 albums by B-Movie on BestEverAlbums.com. The best album by B-Movie is Remembrance Days-The Dead Good Years which is ranked number 47658 in the list of all-time albums with a total rank score of 7. Funk N Waffles Downtown, Syracuse, United States. The tracks on this album have an average rating of 78 out of 100 (1 out of 11 tracks have been rated). Related links: top tracks by B-Movietop tracks of the 1980s, top tracks of 1988.